If you're looking for raw station data, you can often find that this data is available from the metrological agency, or environment agency website for the country where the station is based. But, the availability of such data can vary significantly depending on the country. (A bane for all climate scientists!). Luckily, the National Oceanic and Atmospheric Administration (NOAA) of U.S.A. has climate stations all over the world, which can be an invaluable source of data if the local agency does not provide data. Coverage depends on the country (it is best in the United States), and includes current and historical data. See below for a map of stations. Data can be accessed from the Climate Data Online service. 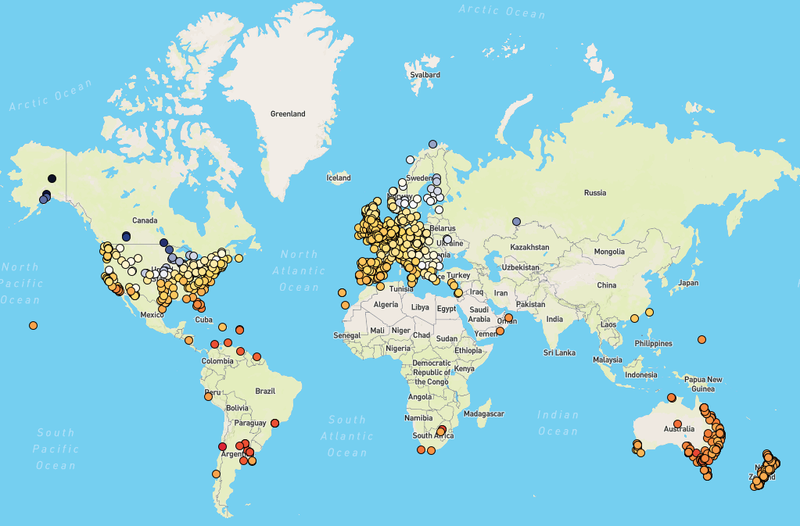 You can access hourly, daily, monthly and yearly climate data, and you can search by country or location if you do not know the name of the climate stations. All data is freely available. Clicking on "View: Historic station data" will then take you to a text file containing monthly station climate data, including min and max temperature, rainfall, and sunshine hours. The length of the record depends on the individual station. The Met Office website only provides historical data for a limited number of its stations. 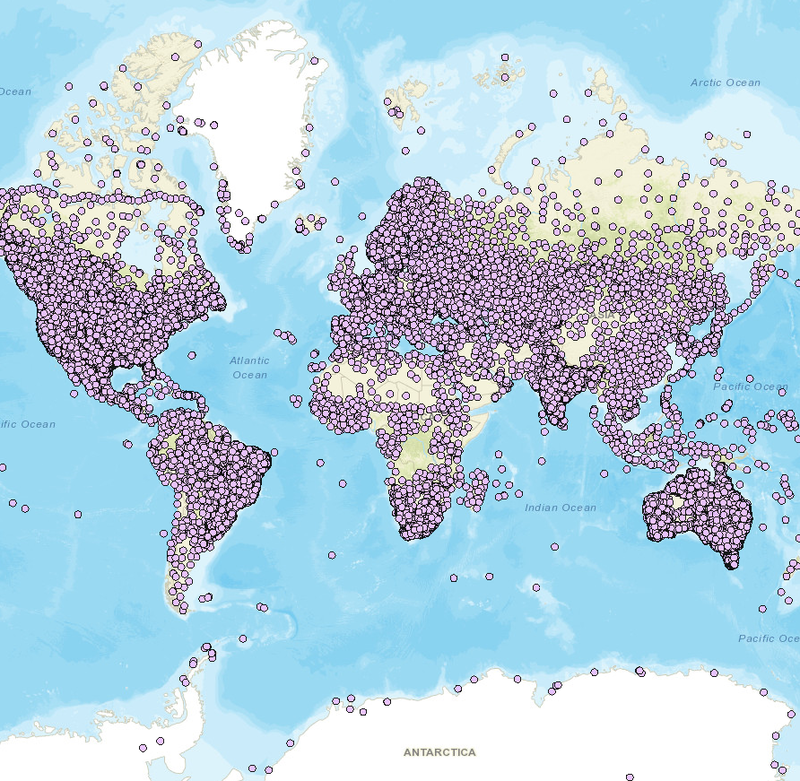 The total number of climate monitoring stations in the Met Office climate station network is around 270. Historic data for all these stations is available from MIDAS (Met Office Integrated Data Archive System). However, you need to register and request access to this database - and you'll need to be an academic researcher working on a related NERC research project to gain access. 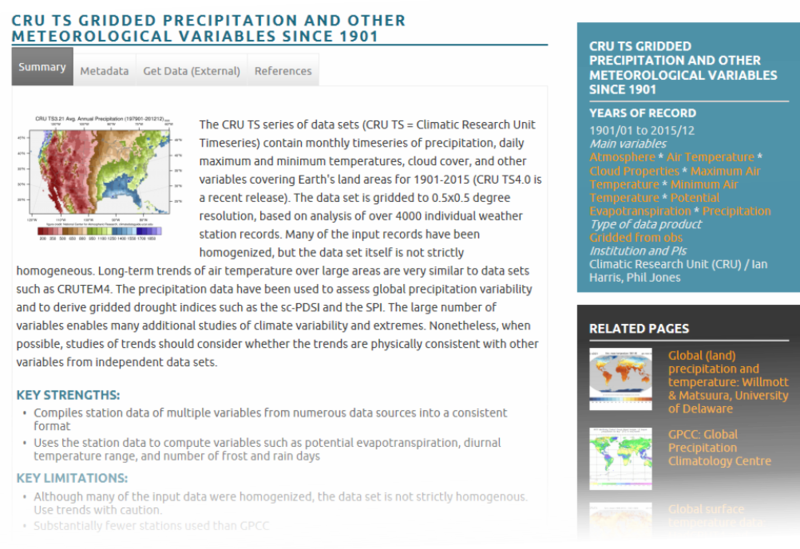 For really long instrumental climate records in the UK, the Met Office Hadley Centre has precipitation data dating back to 1766, and temperature data dating back to 1772 available to download. 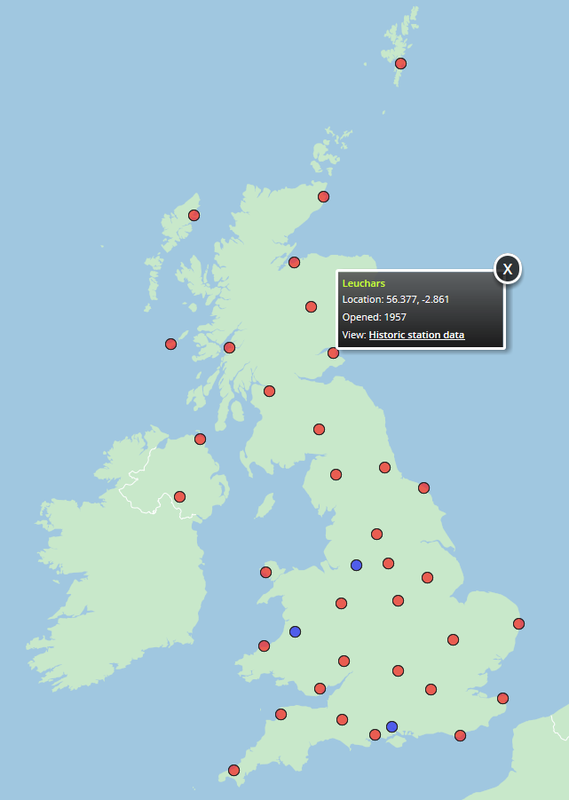 For more recent data (since 2011) the Met Office Weather Observations Website (WOW) hosts climate data for a network of weather stations from all around the world, and many of these stations are run by individuals. The type of data available depends on each individual station, but it's possible to obtain very localised data. You can also contribute to the website if have your own weather station. Coverage is best in the UK, Belgium, The Netherlands, and Australia. Lastly, the Environment Agency (England and Wales) has a network of ~1000 rainfall stations, and provides access to near real time data through an API (Application Programming Interface). They have provided a demonstration website where you can view the stations and see the latest rainfall data. You can also access the full archive of rainfall data (for the past year) to download. Thanks for reading! Please leave any comments or questions below - perhaps you know of another good climate data resource and could share a link?